Over time, it’s normal for wood floors to become damaged. People constantly walk on them, all kinds of liquids are spilt on them, and they are gouged or scratched by children, furniture or heels. Sometimes, parts of them are broken by accident or mere exuberance. This is especially likely in ‘high spill’ areas (kitchens and dining rooms for example) and ‘high stress’ areas (such as living rooms and passages). Damage can come in the form of deep stains to the wood, scratches, deep gouges, breaks in the wood floor, misalignments or squeaks. Whatever the case, these things are bound to happen over time; when they do, they will need to be repaired. This can be undertaken by professionals who specialise in such tasks, allowing for an easier solution. However, for those who enjoy tackling their own problems personally, here is a simple guide on how to repair your floor. It’s always important to understand the scope of damage before taking any action. Most people approach repairs with just a vague idea of what it requires, but it’s best to have a firm understanding of exactly what work needs to be done. This includes some knowledge about the type of damage, how to fix it, what will be needed, how much of the floor will require work, and so on. If the damage comprises scratches and/or stains, it can often be fixed by cleaning and sanding. However, deep stains – especially in wood where the finish is worn – will require replacing. This is also true for deeply gouged and broken planks. This should be done prior to any work being done. It is relatively simple and will mostly entail keeping the area (that requires work) free from clutter, which will make the actual work go smoother. Suffice to say, it’s a good idea to remove any items that can accrue dust or wood scraps. This in turn will make cleaning easier when work has been completed. It’s now time measure the new replacement boards, taking measurements individually for the sake of accuracy. After each measurement, a mark should be made. This is to ensure that cuts can be made with ease and minimal errors. You can loosely place any cut planks across the spaces where others were removed; this should give a good idea of how many will be required and how they should be placed. This way, you can avoid cutting too many planks, although a little excess is not a big problem (and is encouraged in large jobs). Each plank should be carefully cut according to measurements made, with the cuts being perfectly square. Two types of saw can be used to cut the planks; a radial arm saw or a chop saw. Either one is fine, as long as it works cleanly for precise cuts. Planks can be cut into two for easy insertion; this will also help to maintain the tongues and grooves. To remove the damaged planks, it’s best to first use a carpenter’s square to create a new, more visible end seam. You should use your hammer and chisel to define the edges more cleanly. Then, working towards the end seam, create a separation in the wood using your chisel. This should be done by angling the chisel and taking off approximately one-eighth of an inch. Do this carefully to each board to prevent any damage to surrounding boards. To make work more efficient, each board should be tackled in phases. Once you have planks that will fit, start laying them down. Turn each plank upside down and chisel off the lower lip of the grooved edge to make it fit more snugly with the planks around that side. You can fasten using carpenters glue or fit it and then fasten using a nail gun. Nails are better, as they allow the wood to tighten or contract according to the weather, without needing to be removed. For gluing, carpenters glue should be applied to the new plank and surrounding planks, once you’re certain they will fit. If you’re using nails, they should be inserted at a forty-five-degree angle at the tongues. If there are nail holes showing, they should be filled with wood putty. The end seams of each plank should be properly spaced from one another, at least half a foot apart. This is mostly for aesthetics, but it also makes the entire system stronger. The last plank should be inserted with some adhesive, regardless of whether or not you’re using nails. Once the whole thing has been fitted and given time to align properly (or dry if you used adhesive), you can begin sanding or finishing. 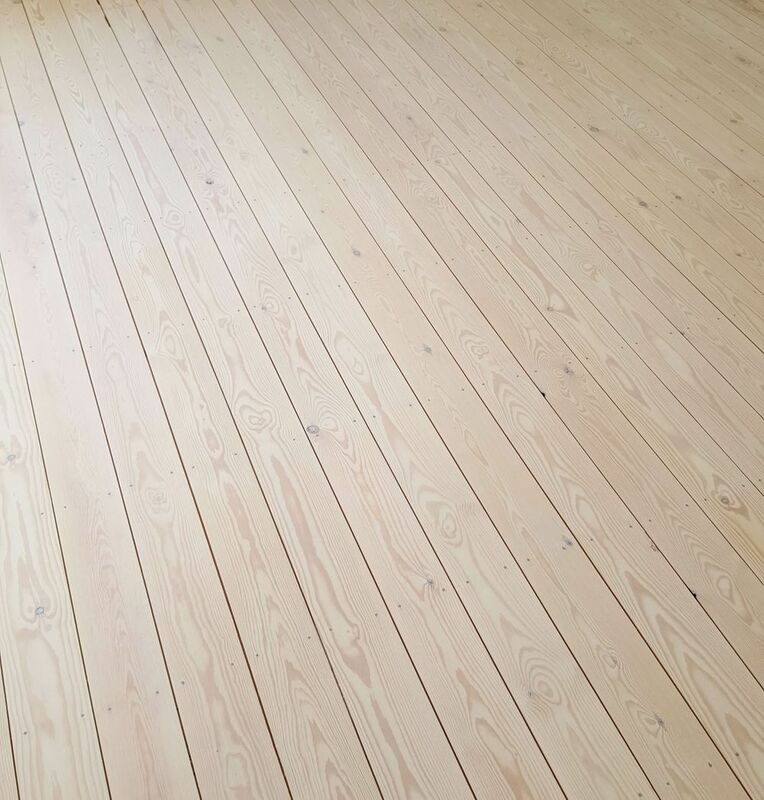 Sanding will help to file down uneven floors and have everything at much the same level. Sanding should be done lightly and precisely, but on both the old and new boards. The previous finish should be sanded according to your current tastes. Not everyone is interested in applying finish, although it is usually preferred. 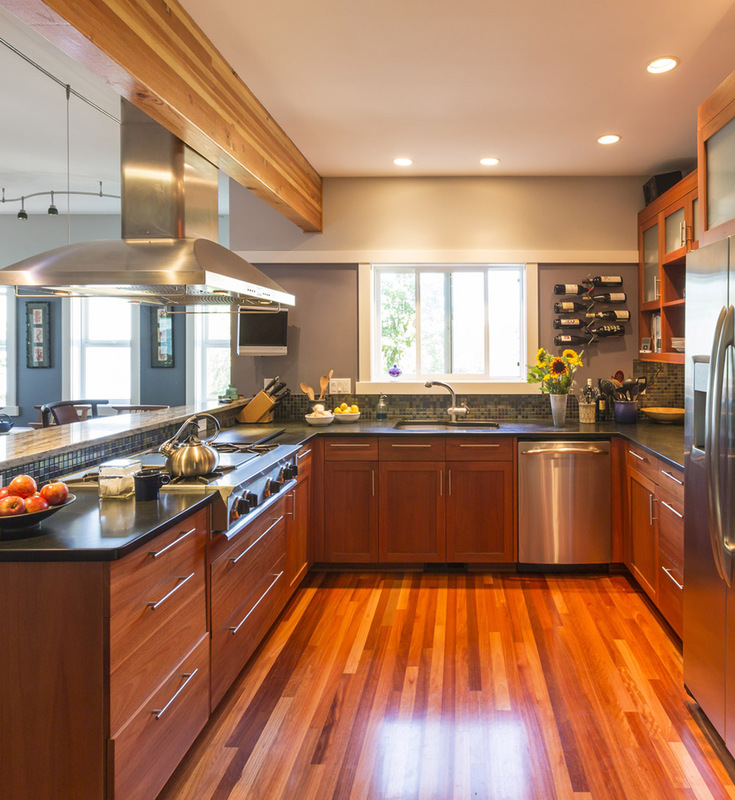 A good coat of finish gives protection to the floors and makes them look more aesthetically pleasing. If you’re using finish, your chosen one should match that on the old boards still in place. The coating should be applied evenly on all new boards, while a light application on the old boards should be adequate. Coating should then be left for a few hours to dry, free of interference or dust, as these can ruin the coating. Once dry, another two coats of clear polyurethane varnish should be applied on all parts of the floor that had a finish coating. With this is done, you’re finally finished. You should check during every stage to make sure everything fits smoothly (which they should if you’ve followed the steps correctly). Now, you can sit back and enjoy your new floors.